You asked, Kia Philippines listened. 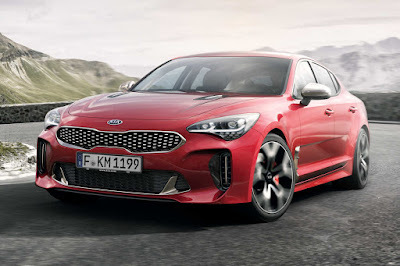 Ushering a new era for Kia, the Stinger sports fastback is the culmination of the carmaker’s years-long journey fueled by a bold and adventurous spirit. As the highest-performance production vehicle in Kia’s history, the Stinger is not just a halo car for them; it’s their dream car. It is, without a doubt the sportiest Kia ever. A car designed and built along the philosophies of a true gran turismo—a car for spirited long-distance driving, the Stinger exudes muscular confidence. The stance and visual balance are designed to lend the car an air of elegance and athleticism, rather than boy-racer aggression. It may be the same size as other executive sedans, but penned at Kia’s Frankfurt, Germany studio, there’s plenty to go by from the slimmed-up tiger-nose grille, hood vents, side vents, and sharp sills carving up the sides. At the back, the trunk curves upward turning into an integrated spoiler while a full-length diffuser envelopes the four oval tailpipes. Inside, the Stinger gets a low-slung cockpit with a strong horizontal motif for the dashboard. The center console is split into two areas with the infotainment controls sitting neatly below a large “floating” touchscreen while climate and ventilation controls nestle beneath. It’s something everyone has seen before, but it nonetheless creates a thrilling sensation. Other features include large gauges accentuated with sweeping red needles, a colored TFT display, and aeronautically-inspired spoked circular vents. 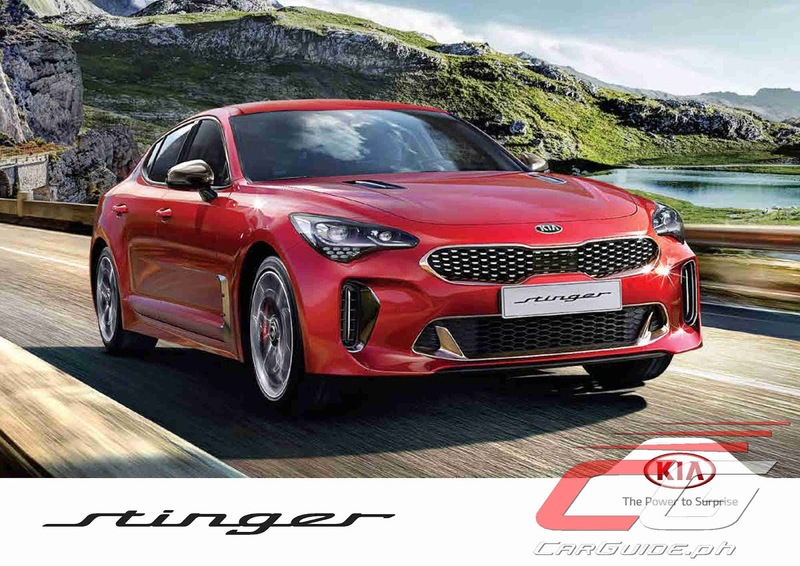 As Kia’s first rear-wheel drive vehicle, engineers pulled out all the stops in creating the Stinger to be their ultimate driver’s car. It gets chassis made of 55 percent advanced high-strength steel. The ultra-stiff foundation gets front MacPherson Struts and rear multi-links tweaked by former BMW engineer Albert Biermann. Together with the variable-ratio rack-mounted motor driven power steering, Brembo disc brakes, and 19-inch wheels (225/40R19 upfront and 255/35R19 at the back), Kia isn’t mincing words citing the likes of the Audi A4, Infiniti Q50, Lexus IS, and BMW 4 Series as the Stinger’s benchmarks. The car’s development took place across Europe, the Middle East, Asia, and North and South America, but the Nürburgring’s grueling Nordschleife is where the Stinger was honed. Kia’s engineers put every development Stinger through a minimum of 480 laps (equivalent to 6,214 miles) of high-stress driving around the Nordschleife for quality, reliability and durability testing. The constant combination of hard acceleration, rapid deceleration, heavy cornering, changing surfaces and camber offers an unrivaled test of dynamic prowess and the distance covered during the Stinger’s development resulted in nearly 100,000 miles of on-road testing. Power comes from a twin-turbocharged 3.3-liter V6 engine with 370 horsepower and 510 Nm of torque. This means that the century mark arrives in a scant 4.9 seconds while top speed is pegged at 270 km/h. Mated to the engine is Kia’s second-generation 8-speed automatic that uses a Centrifugal Pendulum Absorber (CPA) torque converter to reduce vibration through the drivetrain. 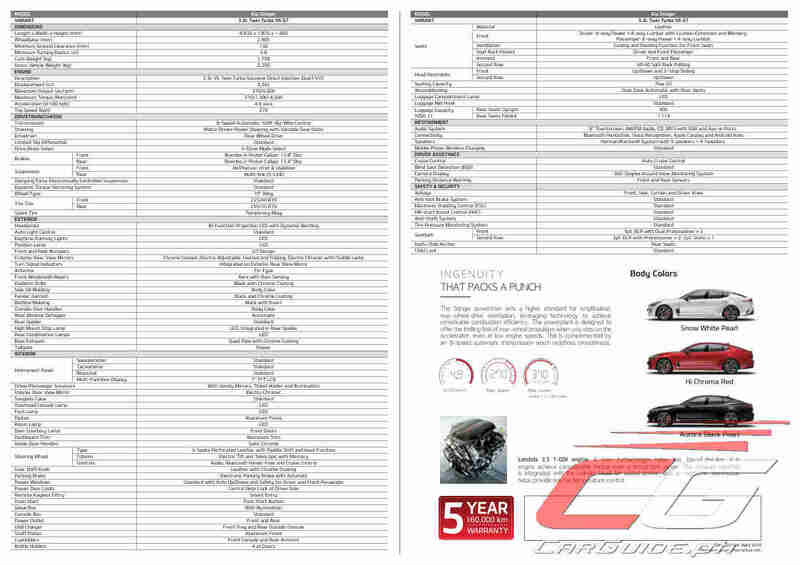 Price is pegged at P 3,325,000 P 3,235,000 (Kia Philippines issued a correction).